In terms of physical and morale damage, the Japanese attack on Pearl Harbor remains one of America’s worst military defeats. Thousands of personnel dead and wounded, eight battleships sunk or damaged, hundreds of planes lost on the ground, and the ability of the United States to respond to the Japanese attack in the Pacific negated. However, just how bad was the effect of the raid upon long-term prosecution of World War II and America’s conduct of the war? While some of what follows is personal opinion and supposition, it is fair to say that two answers exist to that original question: “Great,” and, “It could have been worse.” Much worse. In terms of political and public support for America’s entry into World War II, President Franklin D. Roosevelt could not have asked for a greater gift than Pearl Harbor. The “great” part of the answer has to do with the strategic and long-term consequences of the Japanese attack. In terms of political and public support for America’s entry into World War II, President Franklin D. Roosevelt could not have asked for a greater gift than Pearl Harbor. In just a few hours, the isolationism that had gripped the United States since Armistice Day 1918, was wiped out for a generation. Not until Vietnam would Americans question the need for their country to fight wars overseas. So obvious and powerful was the public outrage and sentiment on that day of the attack that it is said British Prime Minister Winston Churchill danced to the inevitable Allied victory. He knew that, with America all the way into World War II, his nation would survive and the forces of fascism were doomed to destruction. By attacking Pearl Harbor by surprise, and not providing the usual diplomatic notes on time in Washington, D.C., Japan created a moral outrage that sustained America throughout the worst days of what was to come. It is sometimes difficult to understand just how enraged the American public was over the attack on Pearl Harbor. American fighting men, warships, and bases on U.S. soil had been attacked by an enemy on the other side of the world’s greatest ocean. The American public immediately knew such an attack could not have happened by chance, and that this was not a mistake of identification or navigation. The attack on Hawaii was obviously deliberate and direct, and “Remember Pearl Harbor!” became a rallying cry for the rest of the war. Seeing opportunity, the war administration of Roosevelt moved rapidly to take advantage of the sentiment. All around America, industry was rapidly retooled for war-related production. Unlike the Axis nations, the United States put itself onto a total war footing, siphoning almost all of its resources and energies toward producing the men, weapons, and supplies needed to win World War II. America then built the necessary means to deliver everything to fronts as far away as Burma, Russia, and China. 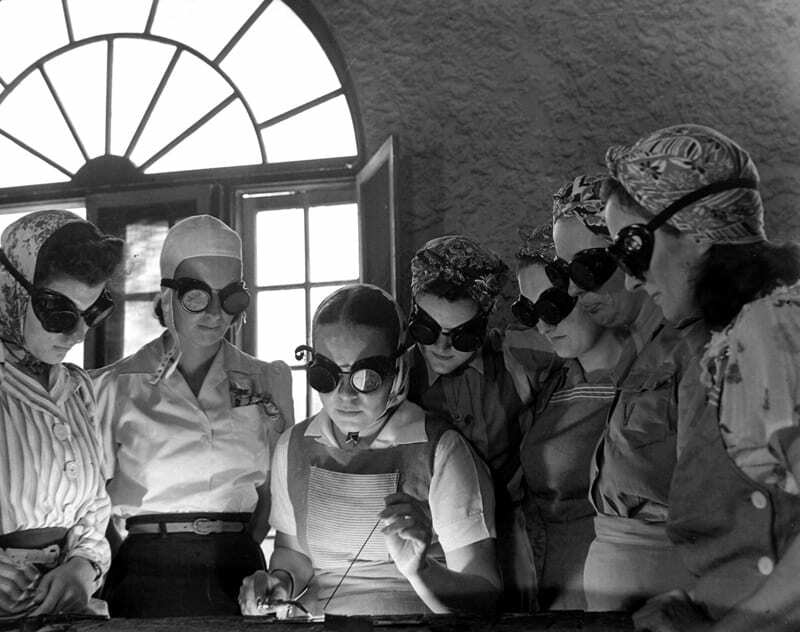 When manpower became short, the United States was even willing to break with long-standing social restrictions and traditions, allowing women into war production plants, and minority men (blacks and Japanese-Americans) into a handful of combat units. These “experiments” led directly to the civil-rights and feminist movements that would follow the war. In so many ways, Pearl Harbor was the catalyst for the modern U.S. society that we know today. It sometimes takes a hard knock to cause radical change in a society or organization; Pearl Harbor was a body blow from which American traditionalists never fully recovered. For the United States, it was the shove into the future through the gateway that it had been standing in for a generation since the end of World War I. Japan, with its ill-considered and timed attack on Hawaii, made the past disappear for the United States and the future inevitable. Pearl Harbor was a body blow from which American traditionalists never fully recovered. The second answer, “It could have been worse,” has to do with the short-term consequences of the Dec. 7 attack. As positive an effect as the Japanese raid had on American public and political opinion, the attack on Pearl Harbor had positively revolutionary effects upon the Navy it had been meant to destroy. With the traditional battle line of battleships either sunk or out of action, naval operations would have to use lighter, faster units like aircraft carriers and cruisers. With the new Navy leadership of men like Adm. Ernest J. 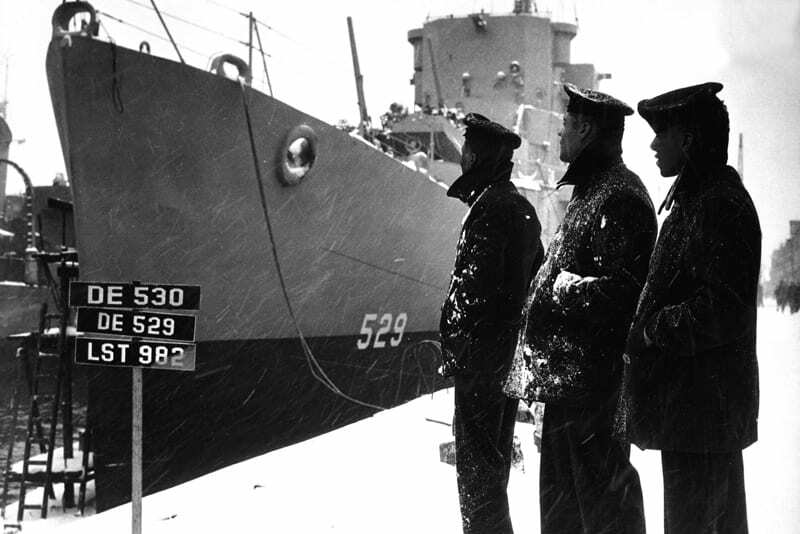 King, Adm. Chester W. Nimitz, and Vice Adm. William F. Halsey calling the shots, there was no thought of waiting until the battle line could be raised and repaired. Though the new operational concept of fighting exclusively with fast carrier groups would take some time to get used to, the U.S. Navy was committed to combat, as much by the realities of what Japan failed to destroy at Pearl Harbor as by any conscious decision of its own making. Unwittingly, the Japanese had forged the very instrument of their upcoming defeat by attacking Hawaii on Dec. 7. Ironically, the Japanese did themselves as much damage by what they did not hit as what they did. When Vice Adm. Chuichi Nagumo made the decision not to launch a third wave of attacks against Hawaii on the afternoon of Dec. 7, 1941, he made an error fraught with unimaginable consequences for Japan. Virtually every Japanese officer from Adm. Isoroku Yamamoto (the commander in chief of the Combined Fleet) to Cmdr. Minoru Genda (Nagumo’s air operations officer) knew that a third wave of airstrikes would let them destroy the maintenance and infrastructure targets that made Hawaii such a valuable forward base. Left behind virtually untouched were drydocks, repair shops, and the entire fuel stock for the Pacific Fleet. Among the first ships out of the harbor to run for the safety of the sea were tankers like the Neosho (AO 23), which would sustain U.S. carrier groups during their early raids and battles. Also untouched was the submarine base, from which so many patrols would originate to help strangle Japan later in the war. Of all the mistakes made on Dec. 7, 1941, Nagumo’s decision to head home after just two waves of raids may well have been the worst. Of all the mistakes made on Dec. 7, 1941, Nagumo’s decision to head home after just two waves of raids may well have been the worst. There also is the matter of luck, and the U.S. had more than its share that Sunday morning. Luck that the aircraft carrier Lexington (CV 2) was delivering aircraft to Midway Island, and that Saratoga (CV 3) was off the California coast that morning. 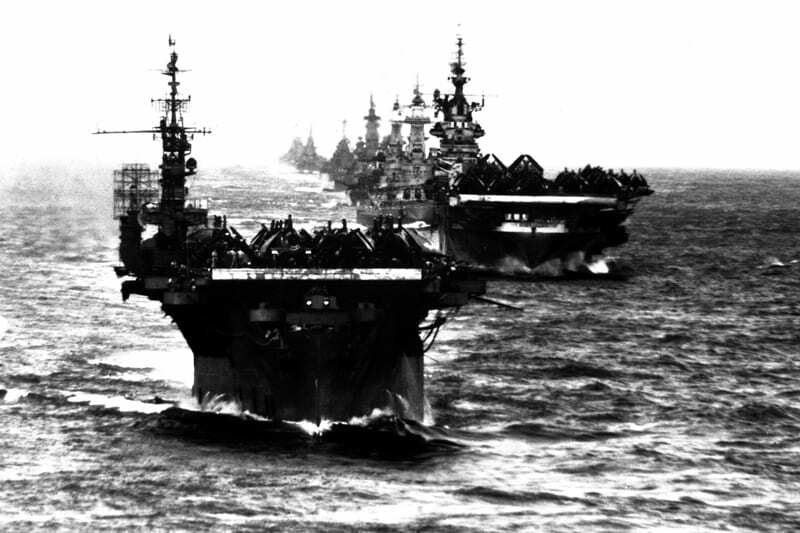 Luck that poor weather delayed the return of Task Force 8 to Pearl Harbor, saving the carrier Enterprise (CV 6) and Halsey from probable destruction. Luck that the invaluable fuel tank farm, which was loaded with aviation gas and bunker fuel, did not take a single bomb or bullet that might have set the harbor on fire. Luck that Nagumo was more afraid of losing his force than finishing off the Pacific Fleet and its facilities on the first day of the war. Luck that the fleet was in the shallows of Pearl Harbor that morning and not the much deeper offshore Lahaina anchorage. Had battleships like the California (BB 44) or West Virginia (BB 48) gone down there, personnel casualties would have been much heavier and salvage would have been impossible, even with the technologies of today. Finally, there was the luck that in its plans, Japan had no way of understanding just how Pearl Harbor would inspire everyone, from Roosevelt to the minority messmates aboard the warships, to make efforts that brought out the very best that Americans could offer. Within six months of the attack, the U.S. Navy had made numerous raids and fought two major battles with its carrier battle groups. The Americans would sink five Japanese flattops and a heavy cruiser while losing just two carriers, a pair of destroyers, and a tanker in return. 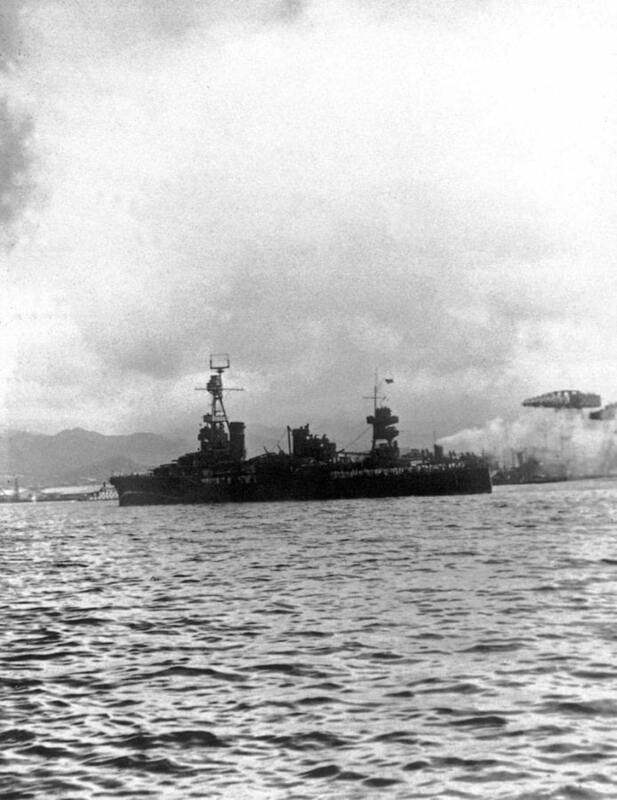 Along the way, the U.S. Navy managed to blunt two major Japanese invasions (against Port Moresby and Midway) and take back the initiative throughout the Pacific. Just eight months after Pearl Harbor, America began landing Marines on Guadacanal and Tulagi in their first offensive against Imperial Japan. Even the most optimistic strategists on both sides must have looked in awe at the achievements of a Pacific Fleet that did not have even one battleship in its forward-deployed units until mid-July 1942! That they would break the back of the Imperial Fleet in just six more months of brutal fighting in the waters around Guadacanal was a sign of just how committed America and its Navy was to avenge the blow that had been taken on Dec. 7, 1941. That they would break the back of the Imperial Fleet in just six more months of brutal fighting in the waters around Guadacanal was a sign of just how committed America and its Navy was to avenge the blow that had been taken on Dec. 7, 1941. All in all, it could have been worse. Much worse. This article first appeared in the The 70th Anniversary of Pearl Harbor.